VOS #1 – LOOK WHO’S TALKING NOW! Colour is one of the most important tools in visual arts to express emotions and ideas. This online exhibition is dedicated to the power of colour. VOS#9 presents seven digital artworks of different kinds working with colour on it's very own way. 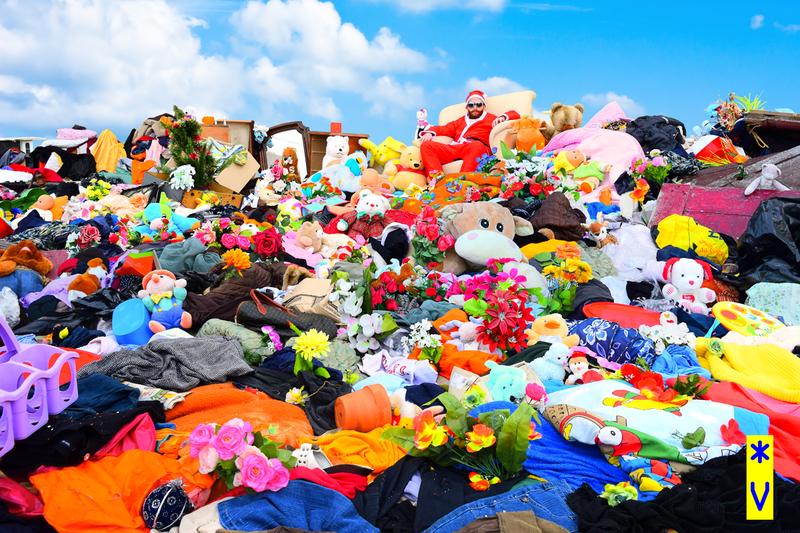 after the end of the world (apocalypse wow!, the artwork previously published on VOS) there will be tons of rubbish to deal with, with God on top (read revelation 21:1 from the bible for more info). This video piece is composed of 365 'rangolis'. Each pattern marks a day of the year and festivals are marked with flowers. Exploration into shape and form presented in vivid colour. Performance Art Project by BBB Johannes Deimling and it is part of the performance cycle 'it won't always grow back' (2015-2018). Movement, space and figures creating a visual appearance. ​The 'art' questions itself, who am I? What am I doing here? What is the point of me? ​This film is a study of colour through the corruption of digital media. Files were intentionally broken, creating unpredicticable noise. This malfunction was later manipulated, edited and controlled. Starting an open call, creating new exhibitions and doing social marketing to make VOS bigger needs some money! All rights reserved by the artists.